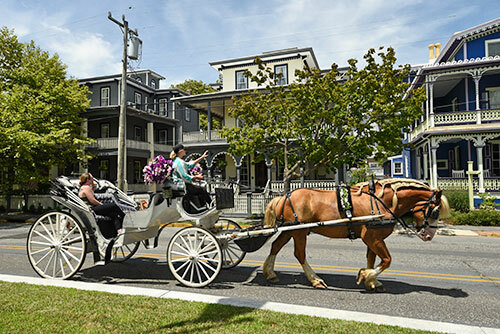 Tourists and residents alike have shared in the beauty of proud horses fine carriages and extraordinary tours detailing Cape May's historical streets. 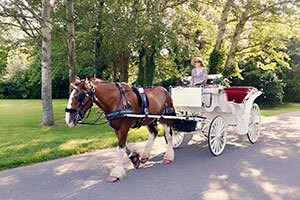 We offer private carriage tours of historic Cape May as well as seasonal holiday lights tours. 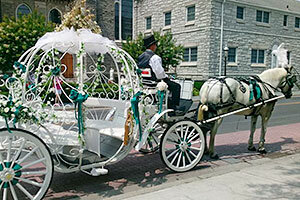 Private carriage ride through Cape May's historic district. Let us create a custom package for your special day.